The term off-grid refers to not being connected to a grid, mainly used in terms of not being connected to a main or national electrical grid. 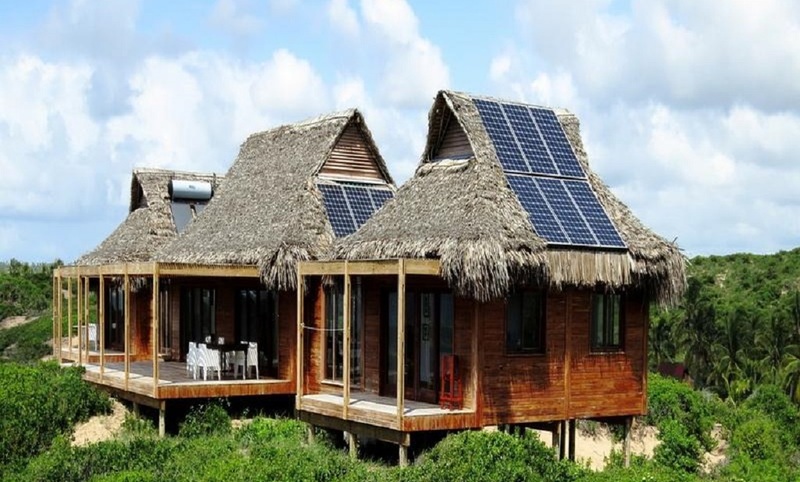 Off-the-grid homes are autonomous; they do not rely on municipal water supply, sewer, natural gas, electrical power grid, or similar utility services. 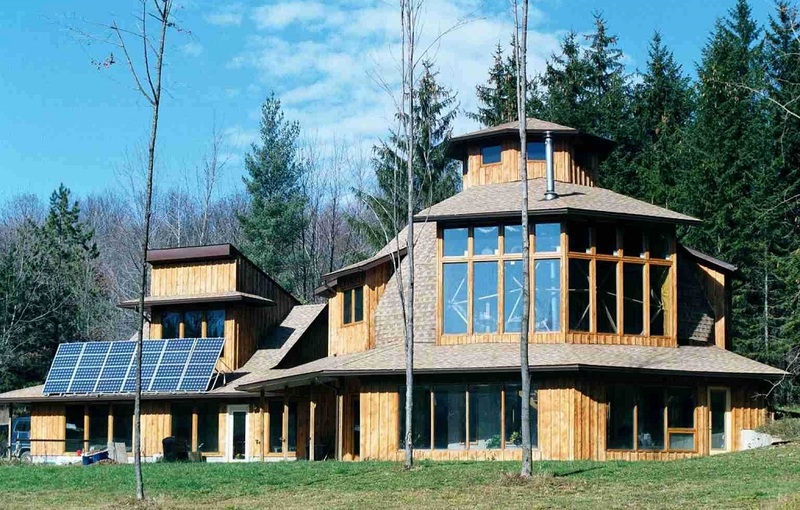 A true off-grid house is able to operate completely independently of all traditional public utility services. Going off-grid is becoming an increasingly popular choice for people looking to reduce their carbon footprint, assert their independence and avoid reliance on fossil fuels. Some people choose to be partially off the grid by supplying their own electricity while relying on the convenience of municipal water and sewage systems. Others choose to live completely off-grid by digging wells or using a cistern system to collect water. A septic tank and a grey water recycling system takes care of the sewage. The first thing you need to do to go off the grid is to rid yourself of dependence on electricity from your power company. Electrical power can be generated on-site with renewable energy sources such as solar, wind, micro hydro or geothermal The most common way to do so is by using the sun and the wind to provide your power. Neither concept is new, but more people are turning to these constant power sources to help offset or replace their reliance on electricity fueled by fossil fuels or nuclear reactors. Now that you’re getting your power from the sun and wind, it’s time to get yourself off the city water and sewer line. The great thing about water is that it’s everywhere — it runs beneath your feet as groundwater and falls from the sky as rain. You can tap into both of these sources in order to go off the grid. The easiest way to get off the grid’s sewer line is to install a septic system. 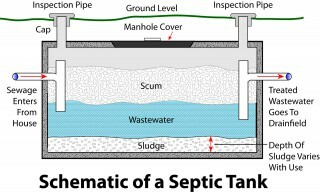 A septic system is basically a large tank that collects and releases your wastewater. Bacteria in the tank break everything down causing it to separate naturally into a top scum layer, bottom sludge layer and middle liquid layer. As new wastewater flows in, the liquid in the tank flows out into a series of buried perforated pipes that release the water over distance into a drain field. Soil acts as a biological filter, keeping the harmful bacteria buried beneath the ground until it’s absorbed as nutrients. To minimize load on the septic system it is a good idea to install a grey water system to recycle or re-purpose grey water. With proper treatment grey water can be put to good use. These uses include water for laundry and toilet flushing, and also irrigation of plants. Treated greywater can be used to irrigate both food and non food producing plants. The nutrients in the grey water (such as phosphorus and nitrogen) provide an excellent food source for these plants. For more info on grey water systems please click here. Another great way to reduce sewage is to switch to a composting toilet, a composting toilet is a dry toilet that uses a predominantly aerobic processing system that treats excreta (humanure), typically with no water or small volumes of flush water, via composting or managed aerobic decomposition. Composting toilets use the natural processes of decomposition and evaporation to recycle human waste. 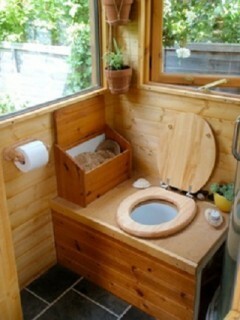 Besides the environmental benefits, there are other advantages of composting toilets. Because no water is required for composting toilets and they employ aerobic activity to break down waste, they are an ideal option in areas that lack access to running water. To read more on composting toilets, please click here. Not having garbage pickup is another consideration. This can be readily solved by recycling and composting. If you’re smart in what kinds of products you purchase, you can eliminate a great deal of potential garbage as well. Grow your own vegetables or raise some chickens and goats for milk and eggs. Avoiding packaged foods will greatly reduce the amount of paper and plastic waste you need to get rid of. 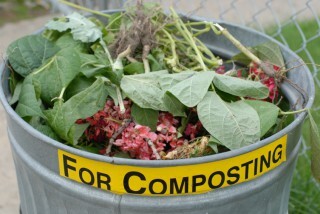 All your organic food waste and even some paper products can be composted and fed back into your soil. The subjects of this article are just a few of the basic considerations. Deciding to go off the grid is a big decision, there are many choices to make and it is not something to take lightly. 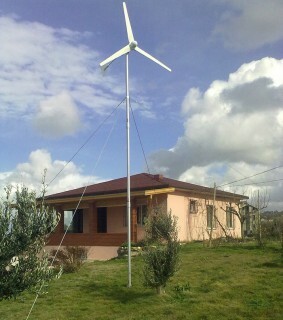 Most people interested in living off the grid do so at least in part to live a greener life, many of them will find it takes a lot of effort to achieve their goals and some of them do fail in their attempts. 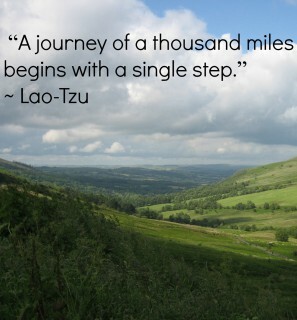 It is paramount to realize that going off the grid is a process which requires a change in lifestyle, if anything it is a journey towards a destination, not a immediate arrival. So be sure to plan well and work out the steps you need to take in order to achieve your goals, be realistic and do not be afraid to fail. 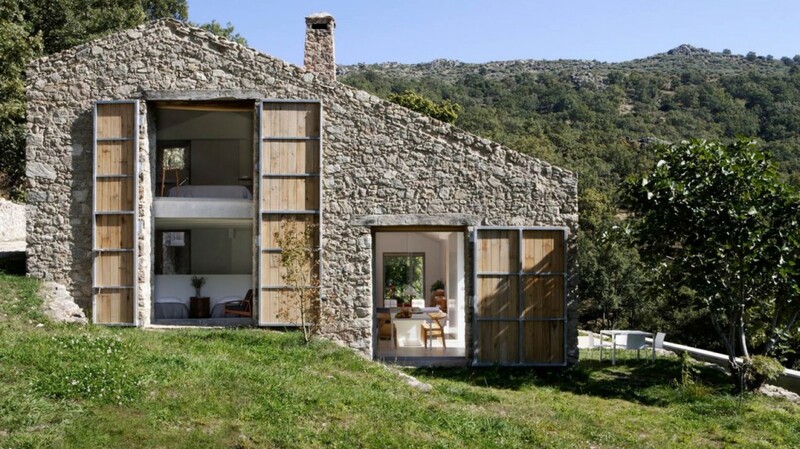 Feel free to search and browse through, the many articles on our website for a host of ideas, examples, solutions and sustainable living ideas. 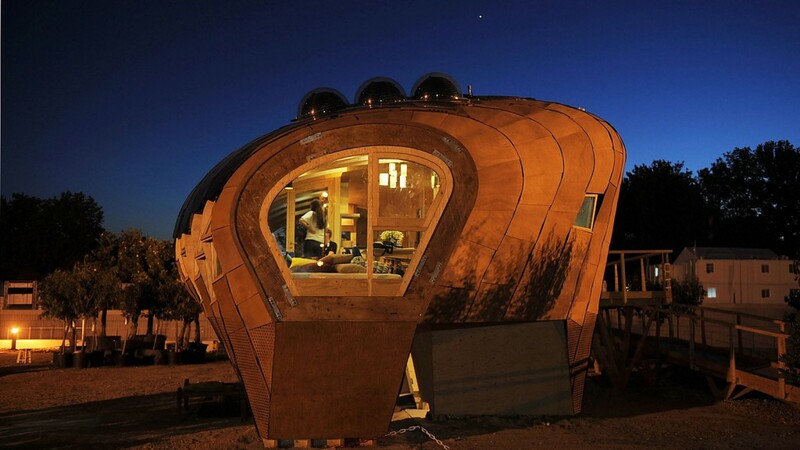 Dit artikel is geplaatst in construction, News, Social, tips&tricks en getagged alternative, change, development, Motivation, natural, off grid, off the grid, organic, preservation, recycling, science, social, sustainable, technology, tips, understanding, value. Bookmark hier de permalink. Open source technologies vs climate change?